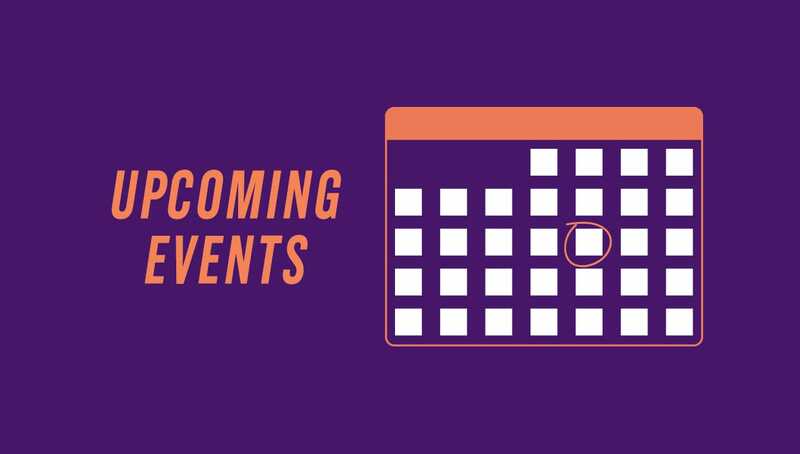 The University of Scranton announces calendar of events for summer of 2018. Jun 8-10 University of Scranton Alumni Weekend 2018, honoring classes ending in a “3” and “8”. Registration required. Various events throughout campus. Call 1-800-SCRANTON or visit www.scranton.edu/alumniweekend. Jun 17 7:30 p.m. Performance Music: “In Concert: The Scranton Brass Orchestra.” Houlihan-McLean Center. Free. Call 570-941-7624 or email music@scranton.edu. Jun 18-19; 21-22; 25-26; 28-29 Two-day Summer Orientation session for incoming students of the University’s Class of 2022 and their parents/guardians. Various locations on campus. Registration required. Call 570-941-6233 or email orientation@scranton.edu. Jun 18 9 a.m. Carlesimo Golf Tournament and Award dinner honoring Mike Strong with the 2018 Peter A. Carlesimo Award. One of the most successful coaches in NCAA history, Coach Strong is the all-time winningest coach in NCAA Division III with 815 wins over his 34 seasons as head coach of the Lady Royals. Saucon Valley Country Club, Bethlehem. Tickets required. Call 570-941-7719 or email eric.eckenrode@scranton.edu. Jun 22 (Also August 3) 9 a.m. Men’s Soccer ID Clinic for experienced boys soccer players in grades 9-12 who are interested in playing collegiate soccer. Kevin P. Quinn, S.J., Athletic Campus, University of Scranton. Pre-registration required. $110 fee. Call 570-941-4843 or email matthew.pivirotto@scranton.edu. Jun 23 8 a.m. Catholic Women’s Conference sponsored by the Diocese of Scranton and Altus for Women. Byron Complex. Registration required. Call 570-872-8630 or visit www.altusforwomen.com. Jun 24 (Also June 29) 9 a.m. Women’s Soccer ID Clinic for female soccer players grades 9-12 and college-bound freshmen. Kevin P. Quinn, S.J., Athletic Campus, University of Scranton. Pre-registration required. $110 fee. Call 570-941-6191 or email colleen.pivirotto@scranton.edu. Jun 29 9 a.m. Women’s Soccer ID Clinic for female soccer players grades 9-12 and college-bound freshmen. Kevin P. Quinn, S.J., Athletic Campus, University of Scranton. Pre-registration required. $110 fee. Call 570-941-6191 or email colleen.pivirotto@scranton.edu. Jul 6-8 Performance Music: “The Scranton Brass Seminar.” Intensive program of workshops, masterclasses, clinics and coaching for brass players. Houlihan-McLean Center. Registration required. Call 570-941-7624 or email music@scranton.edu. Jul 8-20 University of Success Summer Institute. Pre-college program designed to assist participating students to successfully complete high school and gain entrance into a college or university. Pre-registration required. Contact Margaret Loughney, program director at 570-941-4377 or email margaret.loughney@scranton.edu. Jul 14 (Also July 21) 8:30 a.m. Women’s Volleyball ID Clinic for prospective student athletes to showcase their skills for recruitment onto The University of Scranton volleyball team. John Long Center. Pre-registration required. $100 fee. Call 570-941-6058 or email james.spangler@scranton.edu. Jul 21 8:30 a.m. Women’s Volleyball ID Clinic for prospective student athletes to showcase their skills for recruitment onto The University of Scranton volleyball team. John Long Center. Pre-registration required. $100 fee. Call 570-941-6058 or email james.spangler@scranton.edu. Aug 3 9 a.m. Men’s Soccer ID Clinic for experienced boys soccer players in grades 9-12 who are interested in playing collegiate soccer. Kevin P. Quinn, S.J., Athletic Campus, University of Scranton. Pre-registration required. $110 fee. Call 570-941-4843 or email matthew.pivirotto@scranton.edu. Aug 3-5 9 a.m. Diocese of Scranton Catholic Charismatic Conference. Various locations on campus. Registration required. Call 570-983-6251 or email ccrconference@comcast.net.